Is the company you want to work for open to promoting you? Have other foreigners who work for this company moved up into management positions? This is worth asking about during a job interview. If the answer is “no”, it doesn’t mean you shouldn’t take the job – just that you’ll probably need to move to another company in order to advance. Many Danes do this too. It can be tough to suddenly become the boss of people who used to be your peers; it’s often easier to start with an entirely new team. What’s important to keep in mind that you are responsible for your own advancement. In some countries with traditional corporate hierarchies, X number of years of experience may correlate with an almost guaranteed promotion, but this is not true in Denmark. That means that if you want a bigger role, you need to say so. A good place to do this is your annual employee review, required at most medium to large size Danish companies. At an annual review, each employee sits down with his or her boss to discuss their progress over the last year and plans for the next, and also delivers feedback on the boss’ performance. Preparing for the annual review often means filling out a lot of forms before the review meeting, evaluating yourself as well as your boss. I used to hate this part of the process when I worked at large corporations. Rating myself in an environment of Janteloven was always difficult – am I a 4 or a 5 when it comes to quality of work? Can I allow myself to put 5? – and the forms always seemed to be due at a time when I was busy with other stuff. Had I been more ambitious to get into management, I would have been wasting an opportunity. The annual review is a great place to find out what plans the company has for you – if it has any plans for you at all. When you go to your annual review, it’s always a good idea to have a few requests in mind. You might want more money – in fact, you might simply be given a raise if the company is having a good year. If not, be prepared to justify your raise request with information about how much you contribute to the company, or how others in similar roles are being paid more. 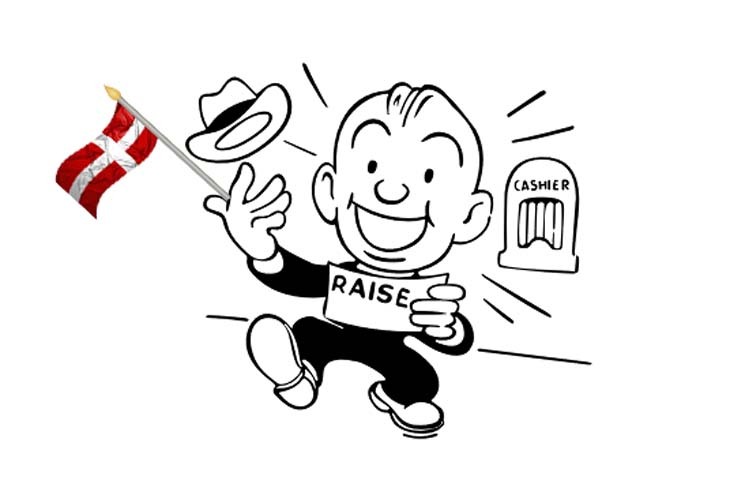 Whether or not you can get a raise, the annual review is a good place to ask the company to pay for courses and training, whether it’s a couple of day-long conferences or a full MBA. Look up the courses you want in advance and present them to your boss during the meeting, along with an explanation of how they will benefit your work. Danes love continuing education, so if your company doesn’t want to invest in training for you, it’s a red flag that they don’t see much of a future for you there. At one of my annual reviews, I asked for a specific course and was turned down (“too expensive”), only to find out that a colleague had been approved for the same course. I was out of that company within 6 months. The good thing about courses is that the education you receive there – and the contacts you make – are easily transferable to your next job. A recent course makes you look “fresh” to a potential employer, particularly if it’s the first educational certificate you’ve picked up in Denmark as opposed to your home country. 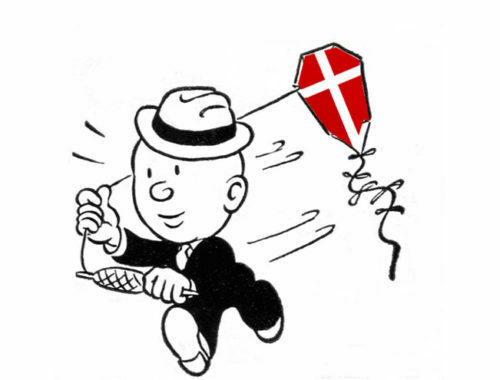 If you don’t see a path to promotion at your current company but aren’t ready to leave yet, consider starting your own side business, or “B-job”, as the Danes call it. Check, of course, to make sure your visa allows for this and that the HR department at your corporate “A-job” approves. You will probably have to choose a B-job that has nothing to do with your main job, and can be completed outside working hours. 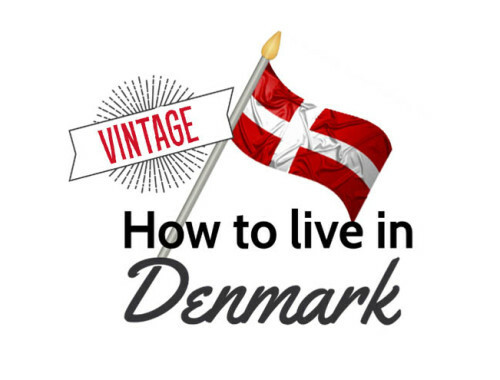 Working for yourself is common in Denmark; tens of thousands of Danes do it. You can set up a one-person company online in less than 24 hours via virk.dk, and the tax ramifications are not as complicated as they are in many other countries. You’ll also be able to write off business-related purchases like computers and smartphones against your company profits. Should you end up leaving your corporate job for any reason, your B-job may suddenly become your main source of income.